Named best knot-tying app by Outside Magazine! Learn to tie knots the fun and easy way from the creators of the web's #1 knot site. Animated Knots by Grog is simply the best, most comprehensive teaching and reference tool for boaters, climbers, fishermen, scouts and hobbyists. Watch knots tie themselves in simple step-by-step photo animations, or go frame-by-frame as you learn each knot. Tap the info button to get detailed descriptions about each knot's correct use, advantages and disadvantages, and other information. 5 stars - The Coolest Ever! 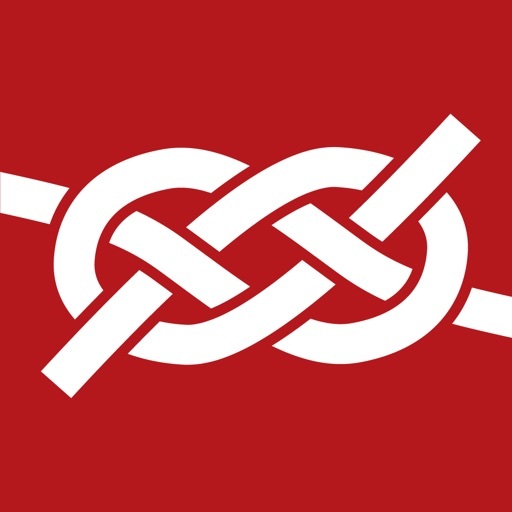 Easy to understand and use, very informative with clear instructions on how to makes hundreds of knots step by step, divided by categories for easy navigation, truly inspiring and beautiful knots. Enjoyable to just watch, practical and relevant to learn. This is the second App enticing enough for me to actually buy. This is my first review. I would pay twice the amount for this app. I would give it ten stars if I could. It can be done step by step unlike others I've seem that you have replay a dozen times to get the same results. Thank you for you time and effort.